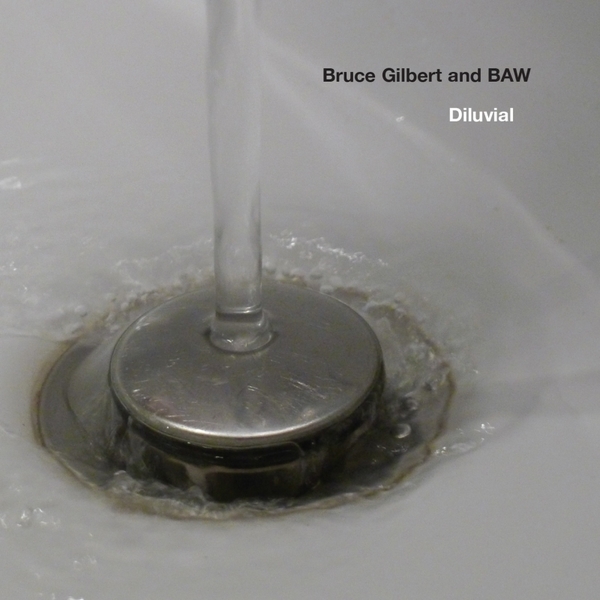 Highly accomplished electro-acoustic music - with elements of field recording and synthesised sound - from the mighty Bruce Gilbert, working in collaboration with BAW (the duo of David Crawforth and Naomi Siderfin). Diluvial connects an urgent ecological concern of the present-day - rising sea levels as a result of global warming - with the ancient and mythological, alluding to the Old Testament's proposed seven days of creation, and to the Great Flood. The album was assembled from field recordings made at beaches in Suffolk and London, conceptual scoring, visual installation and performance; Gilbert and Crawforth generated synthesised sound in response to Siderfin's score and iPhone field research, resulting in seven long pieces that "imagine the world before, during and after the next great flood". Opener 'The Void' isn't the only track here to recall Eno's On Land in its very eerie, very English evocation of a bleakly beautiful and fundamentally unknowable natural world; the torrid noise of 'Dry Land', meanwhile, sounds like what might have happened if Kevin Drumm had been tasked with scoring one of the BBC's M.R. James adaptations - desolate and deeply disquieting. 'Creatures Of Sea And Air' and 'Beasts Of The Earth' combine the arctic ambience of Biosphere with imperious sci-fi synth tones, and the remarkable 'Rest/Reflection' patrols the shoreline with the muffled momentum of Thomas Koner or even Chain Reaction-era Monolake.